As we seek to strengthen the enduring values of the family, it is appropriate that we honor our grandparents. Grandparents are our continuing tie to the near-past, to the events and beliefs and experience that so strongly affect our lives and the world around us. Whether they are our own or surrogate grandparents who fill some of the gaps in our mobile society, our senior generation also provides our society a link to our national heritage and traditions. We all know grandparents whose values transcend passing fads and pressures and who possess the wisdom of distilled pain and joy. Because they are usually free to love and guide and befriend the young without having to take daily responsibility for them they can often reach out past pride and fear of failure and close the space between generations. The Congress, by joint resolution ([H])Res. 244, has authorized and requested the President to designate the first Sunday of September following Labor Day of each year as National Grandparents Day. NOW. 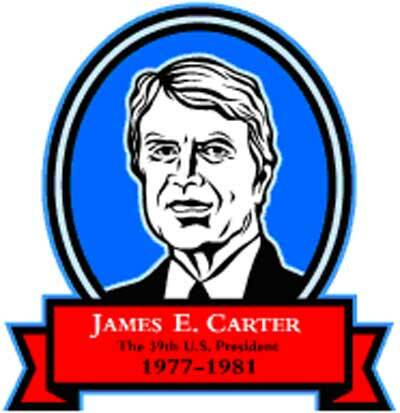 THEREFORE I, JIMMY CARTER, President of the United States of America, do hereby designate Sunday, September 9, 1979 and the first Sunday following Labor Day in each succeeding year as "National Grandparents Day". I urge officials of Government at this national, state and local levels and of voluntary organizations to plan appropriate activities that recognize the importance and the worth of the 17 million grandparents to our nation. I urge all Americans to take the time to honor their own grandparents or those in their community. IN WITNESS WHEREOF I have hereunto set my hand this sixth day of September in the year of our Lord nineteen hundred seventy-nine, and of the Independence of the United States of America the two hundred and fourth.